There's a Lion King reference in Deadpool. I won't spoil it, but I laughed. Neebs Gaming reviews the SCAR H from Battlefield 4 and the conversation derails. TLK references galore. Oh my goodness, somebody animate this please! Jason Marsden on being attracted to cartoons. Everyone is gay for Kovu. No exceptions. that's hilarious, Hoping for him too voice the Star Wars character too. Kovu is the most liked character from TLK without question. I can say I like him a lot. Last edited by Nit; March 13th, 2016 at 02:40 PM. OMG! That's awesome! I actually made this gif so it's cool to see someone else being inspired to make something out of it! Ok, so not really a sightseeing, but apparently there's a new militia group being formed in order to "protect" Donald Trump's rallies against protesters. Ugh. I heard about this. Pleas, Disney, for the love of god, if there was ever a good time to sue someone for likeness to one of your trademarks, now would be the time. 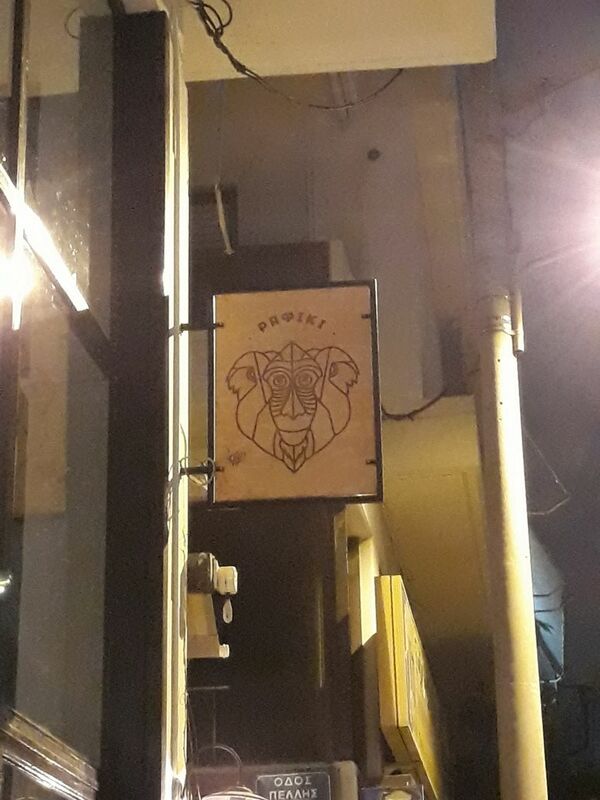 I was walking to some theater with a friend on Wednesday near the center of Athens, when we came across this bar/ restaurant called Rafiki. It was so random, that I felt utterly amazed. Will there ever be a Lion King 4? Lion king 2 and lion king 1/2 isnt as gd as the origanal do you agree?